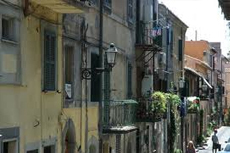 See a different side of Rome on a tour through the historic Jewish Quarter. You'll see the main synagogue and discover the home of the oldest Jewish community in Europe. Rome, the capital city of Italy, is today a living museum. 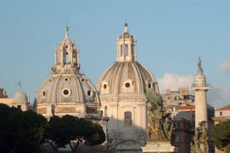 Take a historic tour to learn about Rome's thousands of years of artwork and architecture. 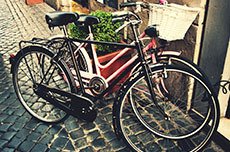 Orient yourself in the capital of Italy by touring it's cobblestone streets on a bicycle. 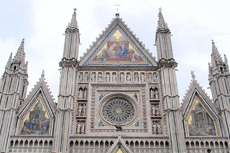 The small medieval town of Orvieto, accessible from Rome and set upon steep volcanic cliffs, is noted for its gothic cathedral and Etruscan ruins. This curious underground maze of tunnels, hollowed out of the volcanic rock, is where the early Christians, persecuted by the Romans, had to practice their religion in secret and bury their dead. The greatest feat of Renaissance architecture, and constructed in part by Michelangelo himself, the sheer scale of St. Peter's Basilica is nothing short of astounding. 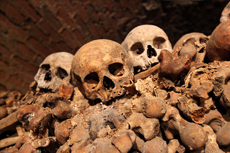 This is known to be the burial site of Saint Peter, 91 popes, a Holy Roman Emperor, and more. Visit a traditional family-owned gelateria where you can enjoy a delicious ice cream cone. What's your favorite flavor? 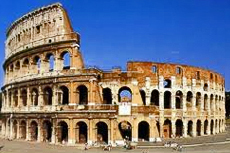 Rome's Colosseum, once home to brutal gladiatorial combat, is the largest amphitheater ever built in the Roman Empire. One of the new seven wonders of the world, this famous feat of architecture is not to be missed. Experience the wondrous scenery and history in St. Peter's Square, located directly in front of St. Peter's Basilica in the Vatican City. Venture out on your own in Rome, a living museum with gorgeous artwork, amazing architecture and inspiring ancient sites -- yet alive and vibrant in a 21st-century way. It's an unforgettable city to visit and we'll warn you right now once you've experienced it you'll want to come back for more. 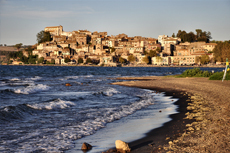 Italy is famous for its cuisine and its wines. 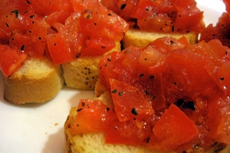 Savor authentic Tuscan tastes on a culinary tour of the region. 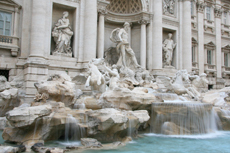 Take a train to Rome and see a plethora of astounding art and architecture ranging from the Ancient Roman Pantheon to the Renaissance frescoes of Michelangelo. 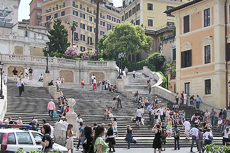 Venture up the famous 137 Spanish Steps for one of the most spectacular vistas in all of Rome. In Vatican City, St. Peter's Basilica (Piazza San Pietro; open daily, 7 a.m. to 7 p.m.), the earthly locus of the Roman Catholic Church, and the extensive Vatican Museums (where you'll find the Sistine Chapel) are grouped together just across the Tiber River from central Rome. Visitors to St. Peter's and the Vatican Museums (open Monday to Saturday, 9 a.m. to 6 p.m.) have to clear a security checkpoint. The line for St. Peter's begins in the Piazza, while the entrance and line to the Vatican Museums is around the corner (to the left, on Viale Vaticano). 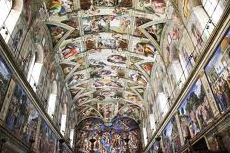 Expect to wait in line for hours if you want to visit the Vatican Museums on your own. 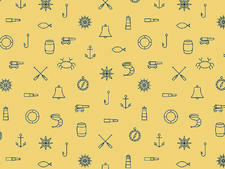 (One advantage to booking a cruise line tour is you might not have to wait quite that long.) Plan ahead, and book your tickets (timed entry) online to skip the lines; you'll only need to pass through security. 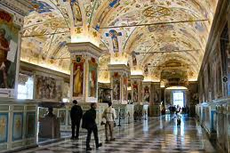 It's easier to bypass lines if you enter through the museums, which lets you out in front of St. Peter's, where you may enter without further lines. However, there can be lines if you'd like to climb to the top of St. Peter's Basilica (or ride up in the elevator). While it's free to enter St. Peter's, the climb/ride carries a small fee, and entrance to the Vatican Museums is pricey (but well worth it, specifically to see the Sistine Chapel in person). 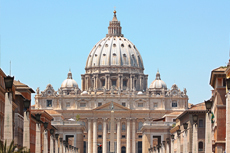 The Vatican Gardens are available for viewing with tickets, as well, but note that these tickets may book up as far as six months in advance. 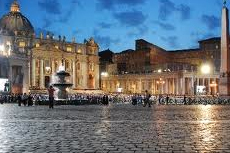 Note: Vatican City is its own city and is not included in ROMA passes. Be aware that sleeveless shirts, shorts and short skirts or dresses are not acceptable attire within St. Peter's, and you will be banned from entering if you don't have a sufficient way to cover up. Bring a shawl, and be sure the attire on your lower half reaches at least to your knees. The Colosseum (Piazza del Colosseo; open 9 a.m. and closing between 4 to 7 p.m., depending on the time of year) is the shell of an ancient stadium, first inaugurated in 80 A.D., where gladiators engaged in bloodbaths. The building is impressive, and you'll want to spend at least an hour taking it in. There are areas that are only accessible by foot and stairs, but there is also an elevator to reach the top. Across the street are the Roman Forum and Palatine Hill. Walking along the streets of the ancient ruins will transform you, as you envision what this central Italian piazza would have been like during the age of Caesar. 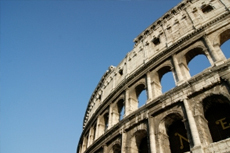 Tickets to the Colosseum and Forum can be purchased together; lines are much shorter at the Forum ticket line. Near the Colosseum, we always drop our jaws at the sight of the Vittorio Emanuele Monument (Piazza Venezia), an extravagant white-marble monument (nicknamed "the wedding cake") with giant horse sculptures, constructed in the 1800's to honor Italy's first king. You can't go inside, but it's a great photo opp. The Pantheon (Piazza della Rotunda; open Monday to Saturday, 9 a.m. to 6:30 p.m., Sunday, 9 a.m. to 1 p.m.) dates back to 27 B.C. and is considered the ancient world's most complete monument. 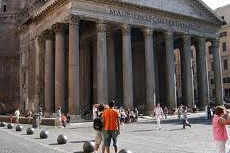 Even better, the Pantheon is more than a museum; it still holds concerts and other special events. For art-lovers, Galleria Borghese (Villa Borghese; open Tuesday to Saturday, 8:30 a.m. to 7:30 p.m.) has Rome's premier collection of masterpieces, including works by Titian, Caravaggio and Raphael. Rome's most magnificent shops are clustered on streets branching off from the elegant Piazza d'Spagna (the Spanish Steps). The most chic stores are found on Via Veneto and Via Condotti; more mainstream (and affordable) stores are on the long Via del Corso. Take a coffee break at Antico Caffe Greco (Via dei Condotti 86), a place to see and be seen since it opened in 1760. Antique stores are clustered on Via del Babuino. 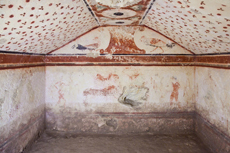 Ostia Antica (Via dei Romagnoli 717; open Tuesday to Sunday, 8:30 a.m. to 4 to 6 p.m., depending on the season), Rome's version of Pompeii, is about 45 minutes outside the city, but it's worth the trek. It was founded in the 4th century B.C. and was a bustling port city until a couple of factors -- outbreaks of malaria and the river's changing course -- led to its abandonment. 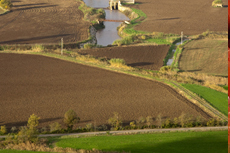 Ultimately it was covered in silt, and the site has gradually been excavated over the past century. 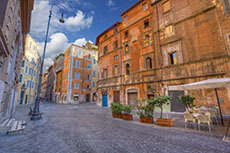 Explore the hip urban neighborhood of Trastevere (just across the Tiber). Among its attractions, beyond tons of charming sidewalk cafes, one-of-a-kind boutiques, art galleries and restaurants, is the serene and soothing Orto Botanico (Largbo Cristina di Svezia 24, open Tuesday to Saturday, 9:30 a.m. to 5:30 or 6:30 p.m., depending on the season), comprising 19 different gardens. 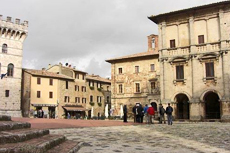 You'll also find the piazza of Santa Maria, one of the city's prettiest piazzas and the site where, according to legend, oil was said to have sprung from the ground on the occasion of Christ's birth. 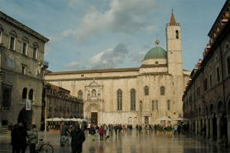 Santa Maria Cathedral, which anchors the square, is a soothing, restful stop.